I try to make a habit of reflecting on my week by writing a few lines in my personal journal. I don't have a very exciting life, in fact I have a fairly ordinary life most of the time. I don't have reams of things to write about when I look back on my week, but I find jotting down a few thoughts and reflections gives me a bit of an overview of how my life is going, where I've been and how far I've progressed. It also gives me an excuse to get out a nice pen and write in a notebook that lasts me a few years - then I get the pleasure of buying a new one! Is there anyone else out there who still hand writes on real paper - or has blogging taken its place in the 21st century? I've noticed that I very rarely now write with a pen on paper. The days of beautifully crafted handwriting are slowly fading and very few people seem to take the time to actually write anything other than on a laptop or a phone. My diary is my way of holding onto that skill. I came across a group of bloggers who are striving to keep the art of handwriting alive - they have monthly challenges to keep people practising. They call it the "Rock Your Handwriting Challenge" and you can see February's here, then they encourage you to upload your efforts to their Facebook group. About once a week I stop and pull out my journal and note the highlights of the week that has passed. If I have a picture or a memento to add to it, that's a bonus. At the most I write about half an A4 page at a time, but it has been an immensely helpful exercise over the years as I have diligently written down my thoughts. It has marked many occasions - both good and bad - I can look back and smile at some of the events that have passed and I can still feel the pain of others. When there have been tough times, putting them down in writing has helped me sort my thoughts out and given me a physical acknowledgement of these blows of life that I've weathered. Sometimes history repeats itself and I can look back and see that I survived the storm once and I know I will survive it again. Journalling is as old as time itself and I can picture medieval women sitting in their towers with their ink and quill, writing about the tournament they watched or the visitors they received. It's also a part of the letter writing and receiving of Edwardian England and Jane Austen and the Bronte sisters. There is so much history that goes with keeping a journal, although I can't see mine being of any value to future generations! But I love the feel of putting pen to paper and capturing a few moments of my week and so I will continue to hold on to my "dear diary" for a few more years to come. I love writing in journals! I started when I was very young. I became more consistent as I got older. I learn so much about myself when I look back on old journals. Plus, they jog my memory (which isn't all that good!) Check out my writing journals on Amazon: just look up Tomi Rues writing journals. Pick one, and I'll send it to you. That would be fun for me to do. You can email me your address. You should have my email since I subscribe to your blog. If you don't see it, just let me know and I'll send you my email. Keep writing in your notebook/journal. What we write tells a story in itself. Thanks, Leanne. I did realize you were in Australia, but I think in my enthusiasm for journal writing, I didn't think about the cost! I appreciate you. :) Have a wonderful weekend. I am a little inconsistent with my journals but I am starting to think I would like to document some thoughts and family history for my children. I think what puts me off is that my handwriting has deteriorated as I use the computer so much. I love your thoughts about tradition and the medieval woman I could just see her! My handwriting is a bit stiffer than it used to be Sue. Jotting stuff down at work helps keep it under control and my journals aren't anything to write home about - just a little update on my week that wouldn't make it to a blogging post! I don't have a journal. My last journal was my diary when I was a young girl. Thank you Leanne for sharing this post at the Wednesday AIM Link Party at Grammy’s Grid. I shared it on social media. Hope you get lots of traffic! 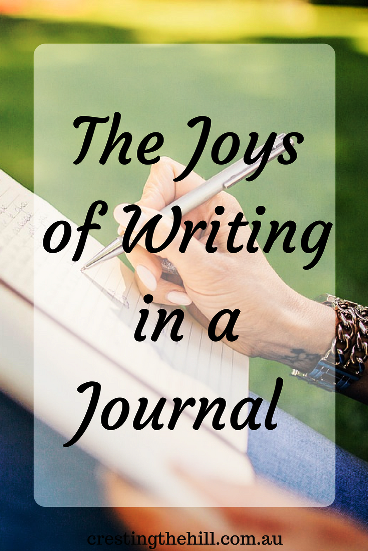 I absolutely agree that journaling offers many benefits. I have tried journaling on a regular basis, but I tend to fall off the wagon rather quickly. I do believe there is a mental advantage to engaging in the physical act of writing something by hand, rather than typing. And -- I think there is some research out there to back up that claim. I think the research is out ther too Carol - I always feel a bit "Zen" when I've been writing down my thoughts. It slows you down a bit to do it manually and I think that's definitely good for the brain. Hey Leanne! No, you're not alone. I love writing things down. That's one of the reasons I love having a paper planner. I get to write. Keeping writing fresh in my mind is just like why I continue to keep an old typewriter around. Some skills will never be obsolete in my book. I think a Stylus is the child of keyboards and the humble biro Bren. It sort of gives you the feel of a pen but the convenience of a keypad. My husband has one and is quite taken with it - I've yet to feel the call! I write in my journal every morning. Although Roland Barthes' "Graphinc impulse" is diminishing its not gone... I love the feel of writing. I love the feel of writing letters too but stationary is getting harder and harder to find. I haven't written a letter for years Beth and I miss it. My grandmother and I used to write to each other and it was a lovely bond between us. I guess email is the poor relation of letter writing - better than nothing, but just not the same. I've been keeping journals for almost 20 years. I was in that magical spot of entering midlife when I started. 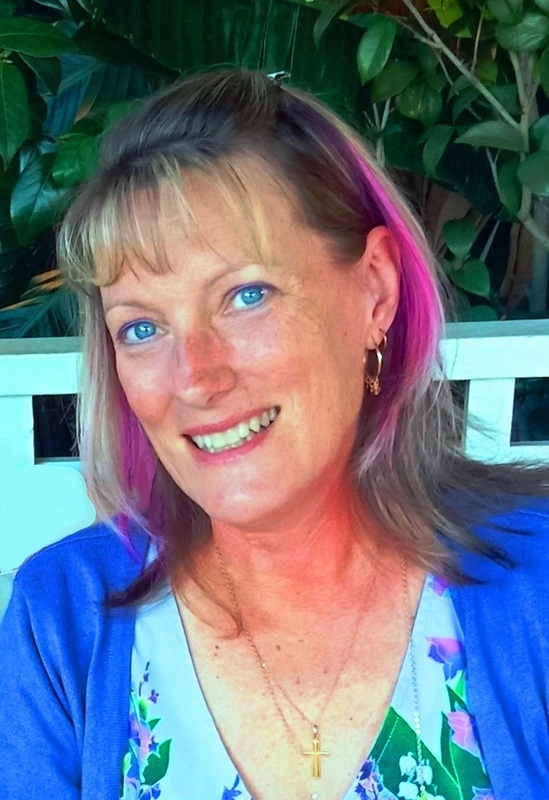 I knew I was moving on to new possibilities, and I also had a tremendous desire to write. My first journals were rather stilted in tone and represented a kind of taking stock of myself and my life. The middle journals were all about exploring and new learnings. My later journals have turned into planning tools for me, driven in most part by inspiration. They contain a lot of diagram-type drawings, kind of a personal shorthand. A couple of years ago, when my 9-year old granddaughter saw my shelf of journals in my office, she said to me, "Don't ever throw those away." I'm not sure what prompted it, but I considered the value they might hold for her someday. What a lovely thought to have someone looking at them as a legacy. My kids will probably chuck mine in the bin - but they've certainly been a great help to me over the years. Just putting your thoughts down coherently and for your own rumination is such a release. I have kept a journal off and on at various times in my life. 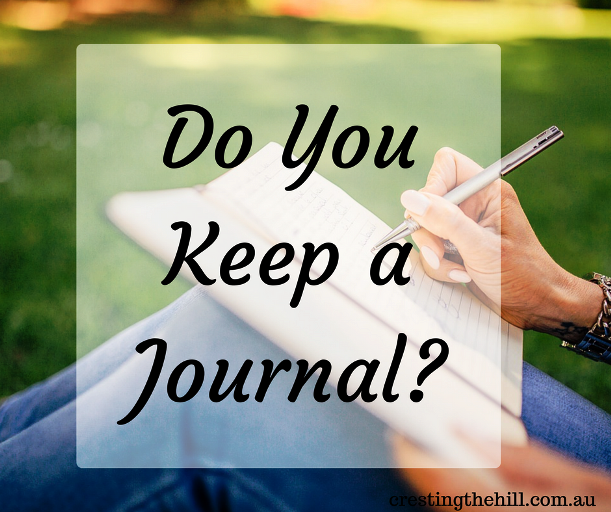 I actually kept a journal during each of my pregnancies and into the first year or so of each of my son's lives where I wrote to them as a keepsake of what I was thinking and feeling while they were growing and keeping me awake! I have a 52 lists journal that i'm working my way through now. I love the idea of having a journal of your children's lives. I think I was so sleep deprived mine wouldn't have made any sense! I do love being able to look back through mine and find how much things have changed over the last 20 years of my life. I also am beginning to think that continuing to use handwriting may be good for aging minds. I have not done any research but from my own experience it seems to be becoming more and more important. I think you are probably right Barbara. Sometimes I feel little glitches in my brain and things like writing help smooth them over. Even spelling a word occasionally seems trickier than usual - I guess it's part of the aging process. I'm the same Jo - I look back occasionally at one of my old journals and I'm amazed at how much has changed (and the things that have stayed the same) I know they'll end up in the bin one day (kids are so un-sentimental) but for now they are my history. I don't journal because I don't want anyone else to find such a thing after I die. I do write... the feel of a good hefty pen with a solid line is magical. I write in cursive to my parents & to my aunties, & occasionally, even to friends. Such an artform shouldn't fall by the wayside; it seems that schools hardly teach this skill anymore. I don't write letters anymore Mrs S - because nobody replies any more. I miss the letters I used to write to my grandmother (and all the ones I wrote pre-email days) It's nice to have had that in my life - younger people don't know what they're missing. I do keep a journal, not so much for myself but for my great grand children who may never know me in real life but can learn who I am through my journals. Thanks for linking up with Blogging Grandmothers. I wonder if our grandchildren and descendents will really care? But then I see people who are immersed in their family history research so maybe we'll score one of them who wants to read our writing in decades to come Candace. I started to maintain a journal since January. It's helping me find my inner soul, its been 3 months since I started and I can see a lot of improvement in my self . Sometimes you need to put your thoughts down on paper just to get a picture of what your head is doing and to start to redirect your thinking a bit. I work with someone who would benefit greatly from doing exactly what you've been doing over the last three months. 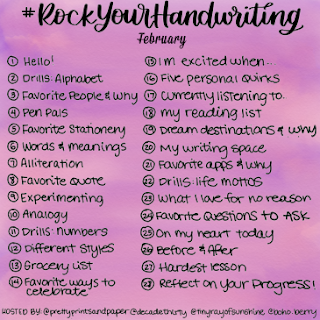 That's an interesting point about the handwriting prompts - I'll have to go back and have a read of them to see if any inspire a post or two (once I finish the April #atozchallenge! Yes I do journal. Not as much as I used to before my blog, but I still try to get around it. Thank you for sharing with #blogginggrandmotherslinkparty. #linkparty, #party. I have shared on social media. I think I journalled more before I started blogging too Clearissa - but I still like to have somewhere separate to record my weekly stuff - probably not really interesting enough to be blog material! Thank you for pointing out the benefits of paper and pen. I don't write a journal, but truly find that handwriting helps slow down my thought processes and forces me to think things through before putting the information down on paper. It is also true that journals or diaries and a true historical record of how every day people spend and enjoyed their every day lives. Its important.